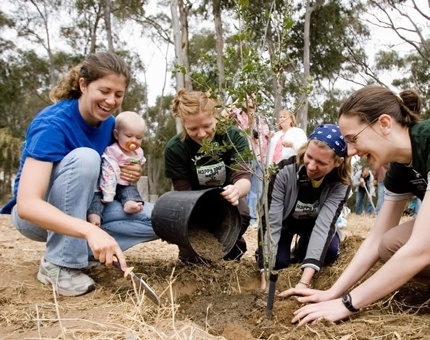 The City of Carlsbad is celebrating Arbor Day, Saturday, April 29, 2017 by working with local volunteers to plant trees at Stagecoach Community Park, located at 3420 Camino de los Coches in the lower picnic area. For all the official details, please follow the jump, or click here to view the flyer. The Carlsbad based fish taco restaurant chain Rubio’s is kicking off their 5th Annual CoastFest on Saturday July 16, 2016 at the Oceanside Pier, in partnership with I Love a Clean San Diego. Rubio’s CoastFest has continued to grow year after year, with a record turnout of nearly 3,000 attendees and over 1,000 pounds of trash removed from the coastline in 2015. This year’s event is expected to be even larger than years past and will include live performances by one of Billboard magazine’s chart-ranking artists, The Mowgli’s, as well as the popular San Diego children’s band Hullaballoo, among others. The event begins at 10 AM with a full on beach clean up. After that there is complimentary food and drinks, music, a educational play area for the kids and much, much more. For the official details from Rubio’s please follow the jump. 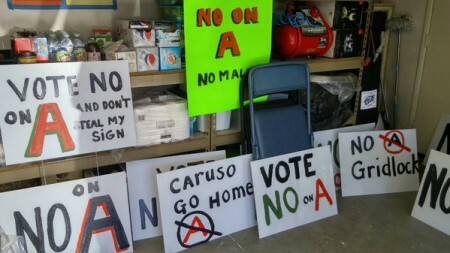 Caruso Affiliated’s plans to sneak their lagoon mall plans past the citizens of Carlsbad (and environmental checks and balances) are over for the time being, according to a news release from the City of Carlsbad. The County of San Diego Registrar of Voters has verified that a referendum to overturn the City Council’s Aug. 25 decision to approve The Agua Hedionda South Shore Specific Plan has the required number of signatures to move forward to the next step in the process. So what is the next step? Well, the City Council has two options — they can either repeal the ordinance they passed on August 25, 2015 (which would be the cheapest way to go) or they can put the matter up for vote at either a regular election or a “special election.” It will be interesting to see which way they go as they claim a “special election” could cost the City of Carlsbad up to $550,000. For the official word from the City of Carlsbad, please follow the jump. 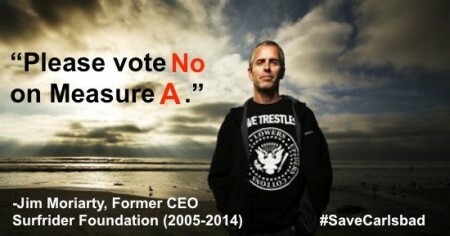 My name is Kelly Slater, and I’m here on behalf of PETA. The veil has been lifted on SeaWorld. All the ads in the world won’t change what the public now knows to be true: that the company imprisons highly intelligent, emotionally complex, social animals in tiny, barren concrete tanks, which leads to aggression and disease. SeaWorld is experiencing declining attendance and revenue, and dozens of companies, including Southwest Airlines, Panama Jack, and Mattel, have recently ended partnerships with SeaWorld. As a professional surfer, I’m lucky and privileged to be able to spend the majority of my time in the ocean—it’s the place where I feel most at home, and thus, I feel an obligation to protect that which I have a voice in influencing. Please, tell us, when will SeaWorld allow the animals it holds captive to return to their home—the ocean—by retiring them to a seaside sanctuary? And wouldn’t this at least be viewed, if nothing else, as a public relations win for you? By righting the wrongs you have committed in the name of corporate profit for so many years, you may actually be able to recoup some of the respect that has been lost in the eyes of the public and work toward an end to the problem of animal suffering. Thank you. Wonder what their answer will be? Hopefully, it is soon. 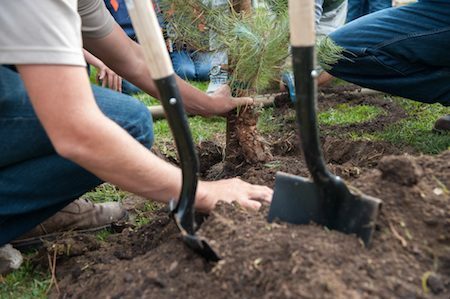 The City of Carlsbad is celebrating Arbor Day, Saturday, April 25, by working with local volunteers to plant trees at Hosp Grove. The tree-planting activities will take place from 8:30 to 10:30 a.m. at the Hosp Grove Rotary Trailhead, located on Monroe Street between Marron Road and Wickham Way. Volunteer registration begins at 8:30 a.m., with a tree planting demonstration to follow. In addition to the tree planting, volunteers will learn about the region’s butterflies and plant monarch pollinators in a meadow adjacent to the trailhead. This project will support statewide efforts to restore the population of the overwintering monarch butterfly. This effort will help Carlsbad retain its status as a Tree City USA for the 11th consecutive year. The designation is given by the National Arbor Day Foundation and acknowledges the city’s ongoing commitment to tree care and urban forest sustainability. 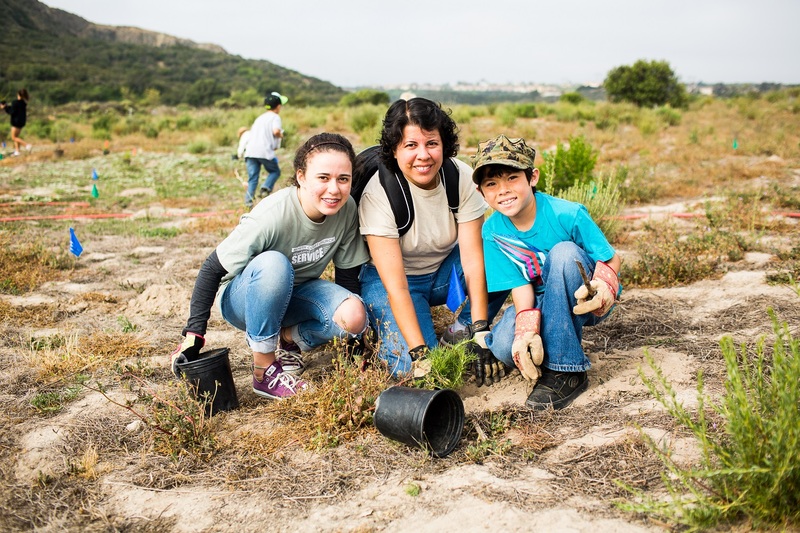 “Arbor Day is a great opportunity to give back to the community and help the environment, while meeting new friends and neighbors,” said Kyle Lancaster, parks superintendent for the City of Carlsbad. The Arbor Day event at Hosp Grove will feature tree maintenance displays and booths from CAL FIRE, SDG&E, Davey Tree, Davey Resource Group, Western Environmental Consultants, Nissho of California and West Coast Arborists. Tools will be provided for all volunteers. Volunteers should wear work gloves, a hat, sunscreen and closed toe shoes. It is requested that volunteers bring additional shovels, if possible. Children age 16 and younger must be accompanied by a parent or guardian. 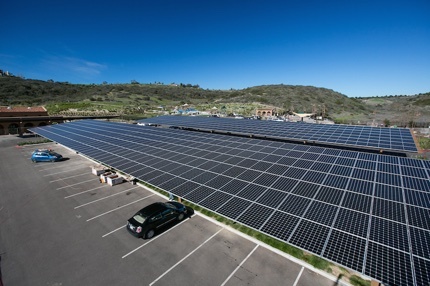 The solar panels placed at the Alga Norte Park will power most of the park’s electrical needs rolling forward while at the same time providing shade in the park’s hot parking lots. On September 27, 2014 the City of Carlsbad will celebrate National Public Lands Day with a volunteer trail clean up at Hosp Grove from 8:30 to 11:30 a.m. Volunteer work will include tree planting in the East Grove, as well as trail surface improvements, litter pick up and other trail work. City staff will be on hand to assist with the volunteer event. Come help the City of Carlsbad keep their beautiful trails beautiful on June 7, 2014 at the Lake Calavera Preserve in commemoration of National Trails Day.